Participant parking is allowed in the LeFont Theater parking lot and across the street at Lake Forest Elementary school lot. Please DO NOT PARK BY EGG HARBOR OR ON THE UPPER LOT (NEAR ROSWELL RD) Also NO SHUTTLE for this year. 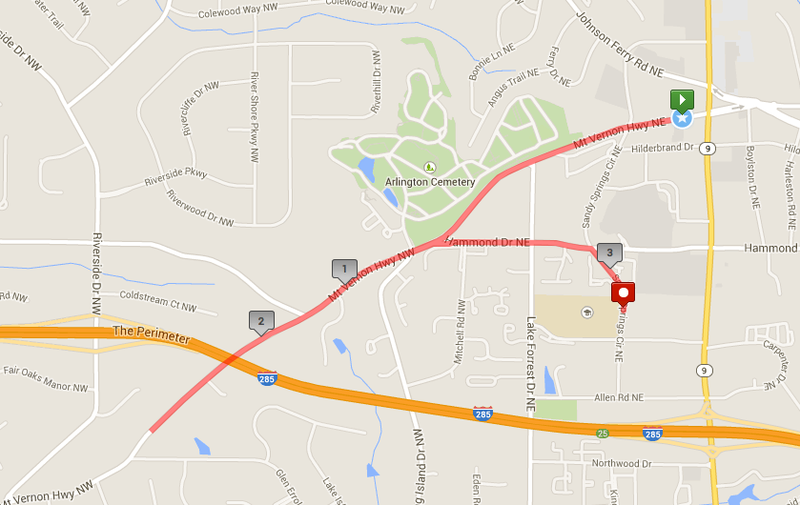 You will need to walk up to Mt Vernon Drive (.55 miles away). 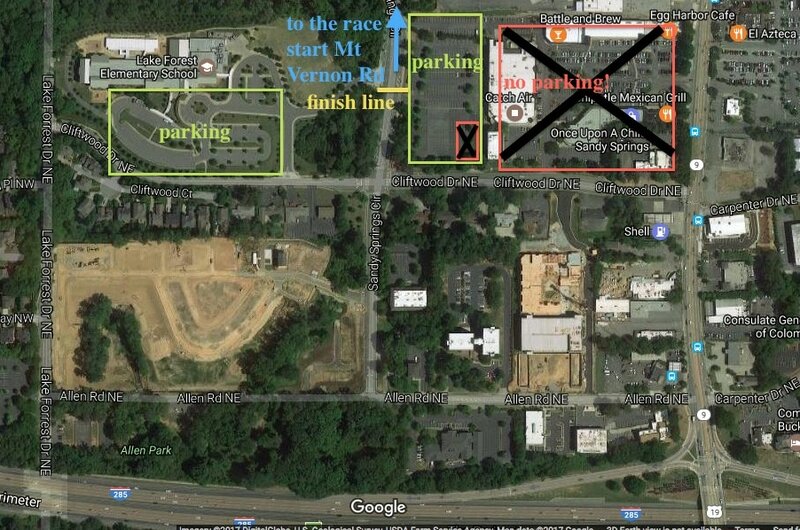 The race finishes in front of the parking lot on Sandy Springs Circle.